I have worked with many different home inspection companies throughout Utah County. Consider a phone interview with a couple different inspectors before making your choice. I like the inspectors that email a full copy of the inspection with color digital photos showing the problems areas. This makes the large report easy to transmit to sellers, agents and repair companies. Please don't have a spaz-attack when the inspector finds a million things wrong with the home you are buying. You are paying them to find problems and trust me they will find more problems that you can imagine. If you find a home without any problems the inspector probably didn't do the inspection. Some of the best inspectors will take the time at the property to walk thru the home and point out a few of the larger problems. I am familiar with a few inspectors that take the time to really educate the buyer and help them understand the repairs and how to fix them. I will only work with the inspectors that will spend upto one hour or more doing a walk-thru with my clients after the inspection. I want my client to have a good understanding of what repairs are needed. The list of inspectors above is not my list of inspectors it is the list of all the professional home inspectors in Utah County that I know. I have a short list of my favorite inspectors I offer my clients. Find a Utah County home inspector with a good reputation and a vast knowledge of the business. A home inspcetion must be done before your Evaluations and Inspections Deadline of your purchase contract. This is on page 6 of 6 of the REPC under 23(b) Evaluations & Inspections Deadline. Repairs MUST BE negotiated in writing prior to the deadline not on the last day and last minute of the deadline. Feel free to call Paul Teasdale of Team Teasdale Realty. 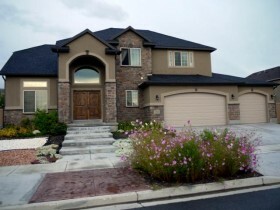 Paul has been selling homes in Utah County since 1995 and has sold over 1,100 homes. Paul is very familiar with the Utah County home inspectors and can suggest a few for you to interview. What is a Utah County Home Inspection? Are Home Inspections Required in Utah County? Home inspections are an extra expense and usually optional, so do you really need one? Probably. Money might be tight for closing, but try to imagine moving in and finding out that the air conditioning unit isn't capable of cooling the house, or that portions of the electrical system are substandard, or that the chimney needs immediate repairs. I recommend a home inspection on every home in Utah County. What if the Utah County Home Inspector Uncovers Problems? First, your offer to purchase will included a detailed statement regarding your rights to a home inspection. The Utah Real Estate Purchase Contract or REPC will give you the right to back out of a contract if a home inspection uncovers more problems than you are willing to deal with prior to your deadline. You must cancel the REPC prior to the due diligence deadline in writing. If you want the seller to do repairs this must be agreed upon in writing prior to the deadline. Don't assume the seller will make every repair you ask for. They may refuse to make any repairs at all. Never rely on a verbal agreement--agreements must be in writing to be valid. Who is the Best Utah County Home Inspector? Experienced home inspectors have seen hundreds, or even thousands, of homes and have the routine down-pat. They know exactly what to look for, including all the little quick-fix tricks. I suggest calling a few inspectors, asking friends and family members. Ask your Realtor who they consider a good inspector. Feel free to contact Paul Teasdale with Team Teasdale Realty to inquire about a few good inspectors in Utah County to interview.